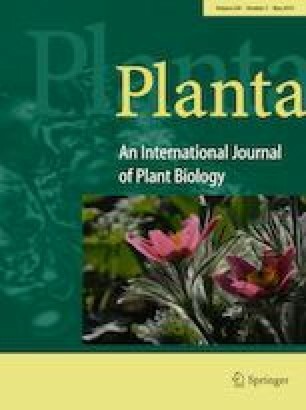 BR signaling pathways facilitate xylem differentiation and wood formation by fine tuning SlBZR1/SlBZR2-mediated gene expression networks involved in plant secondary growth. Brassinosteroid (BR) signaling and BR crosstalk with diverse signaling cues are involved in the pleiotropic regulation of plant growth and development. Recent studies reported the critical roles of BR biosynthesis and signaling in vascular bundle development and plant secondary growth; however, the molecular bases of these roles are unclear. Here, we performed comparative physiological and anatomical analyses of shoot morphological growth in a cultivated wild-type tomato (Solanum lycopersicum cv. BGA) and a BR biosynthetic mutant [Micro Tom (MT)]. We observed that the canonical BR signaling pathway was essential for xylem differentiation and sequential wood formation by facilitating plant secondary growth. The gradual retardation of xylem development phenotypes during shoot vegetative growth in the BR-deficient MT tomato mutant recovered completely in response to exogenous BR treatment or genetic complementation of the BR biosynthetic DWARF (D) gene. By contrast, overexpression of the tomato Glycogen synthase kinase 3 (SlGSK3) or CRISPR-Cas9 (CR)-mediated knockout of the tomato Brassinosteroid-insensitive 1 (SlBRI1) impaired BR signaling and resulted in severely defective xylem differentiation and secondary growth. Genetic modulation of the transcriptional activity of the tomato Brassinazole-resistant 1/2 (SlBZR1/SlBZR2) confirmed the positive roles of BR signaling pathways for xylem differentiation and secondary growth. Our data indicate that BR signaling pathways directly promote xylem differentiation and wood formation by canonical BR-activated SlBZR1/SlBZR2. The online version of this article ( https://doi.org/10.1007/s00425-019-03094-6) contains supplementary material, which is available to authorized users. This work was carried out with the support of the Basic Science Research Program through the National Research Foundation of Korea (2015R1A4A1041869), Korean Ministry of Science, ICT and Future Planning, and the Next-Generation BioGreen 21 Program (no. PJ01313601), Rural Development Administration, Republic of Korea. SJP was supported by a grant from the National Research Foundation (2017R1A4A1015594) funded by the Korean Ministry of Science, ICT and Future Planning.